Another update. Here's a 13 page, 15" paper model of Marvin the Martian. Merry Christmas! 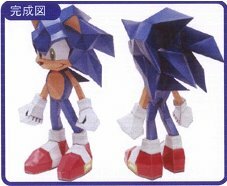 Here are the paper models of Sonic and Shadow from Sega. Each model has three pages of parts so you should have no problem building these. More good-looking robots! 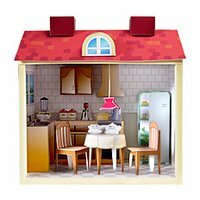 I ran across this site yesterday and I'm amazed with the models available for download( 3 of them). Some of the parts are even movable. 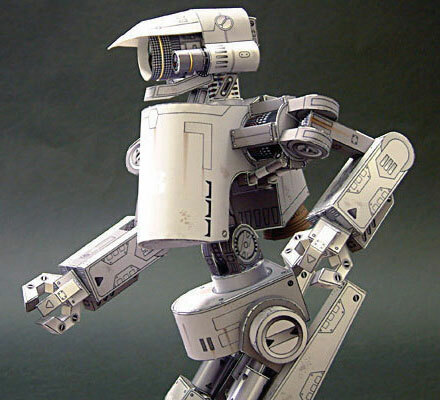 Here's a site by Jan Rükr that offers paper models from the movie ALIENS. Included are an APC vehicle, an Emergence Escape Vehicle and my favorite- the 1:1 scale M41-A pulse rifle. He's still working on other models including the LV-426 colony. Don't forget to put the "ALIENS" password. Also check out the bonus models for more cool-looking papercrafts. I found a Japanese site that offers a couple of STARWARS papercrafts. There are 9 models to choose from. Yamaha Japan is set to release their ultra realistic 1:5.5 MT-01 motorcycle papercraft. They're gonna be releasing the parts by volumes. The first of five is already available for download. 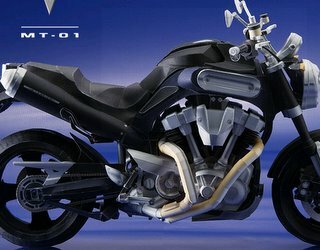 While waiting for those, you can also build the other 9 motorcycles which are also highly detailed. "Build your own space exploratiom fleet." That's what it says on the NASA site. And indeed, you can make a fleet of satellite models. From an easy 1 page "Mars 2001 Odyssey" to a challenging 14 page " Cassini" advanced paper model. Just in time for the holidays, Canon just released the christmas costume for their 2 teddybears. Aside from those, there are dozens more of cool papercraft downloads. Give your daughter a nice gift this Christmas. Give her a dollhouse papercraft. Lots of designs to choose from. Check 'em out. Get Link, Zelda and Tomb raider papercraft models. Also included are One Piece's Going Merry ship, Advanced Wars tanks and much more!